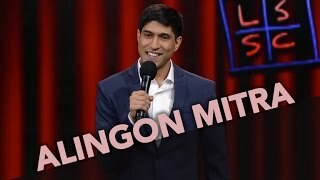 Alingon is a stand-up comedian and comedy writer living in New York. He currently writes for THE DAILY SHOW WITH TREVOR NOAH on Comedy Central and, prior to that, he staffed on ADAM RUINS EVERYTHING for TruTV. He has appeared as a stand-up on CONAN, LAST COMIC STANDING, LATE NIGHT WITH CRAIG FERGUSON, and ADAM DEVINE’S HOUSE PARTY SPECIAL. He was selected as a new face at Just For Laughs Montreal. He graduated from Harvard, where he was a writer for the illustrious Harvard Lampoon.